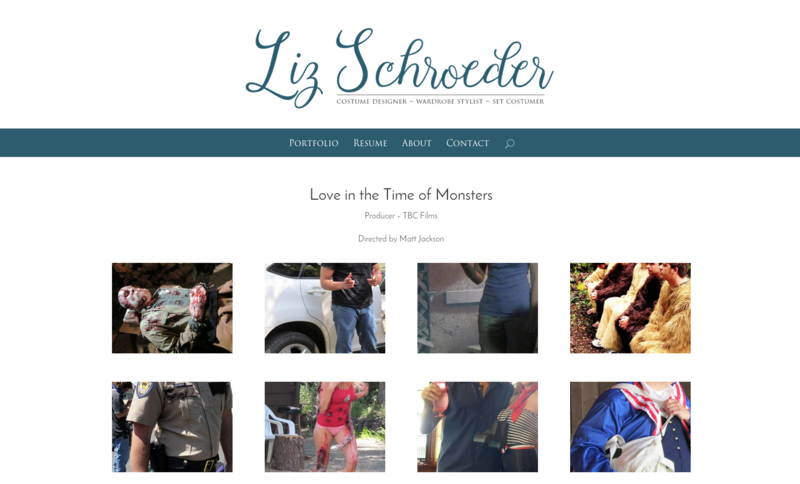 Liz came to Get Art Seen with an urgent need to get her costume portfolio online. 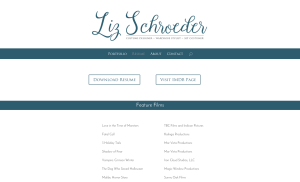 She was booking a ton of work, and needed to keep that momentum going. It’s important, for any designer, to have as many photos as possible of the excellent work you are doing, so Liz needed a website that could show off all those images to reflect not only the quality of the work she is doing, but also the caliber of projects she has been working on as she moves onward and upward with her work. 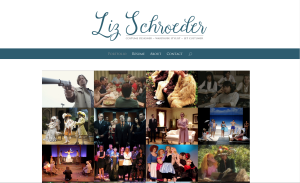 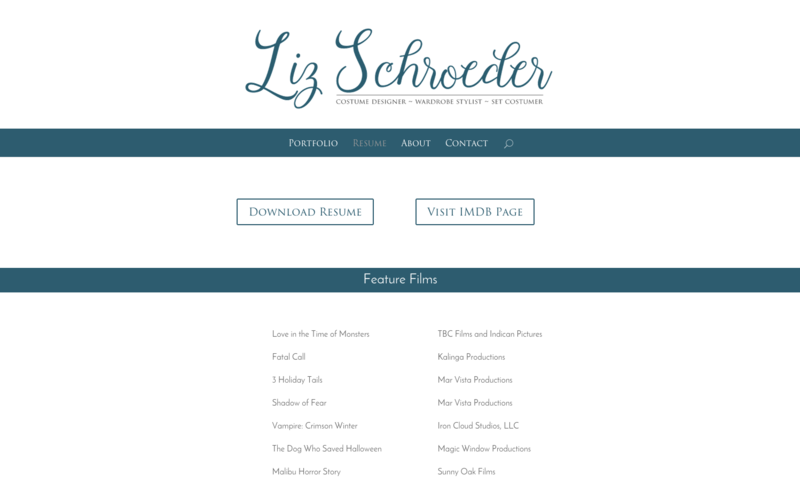 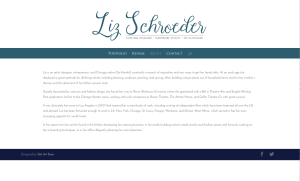 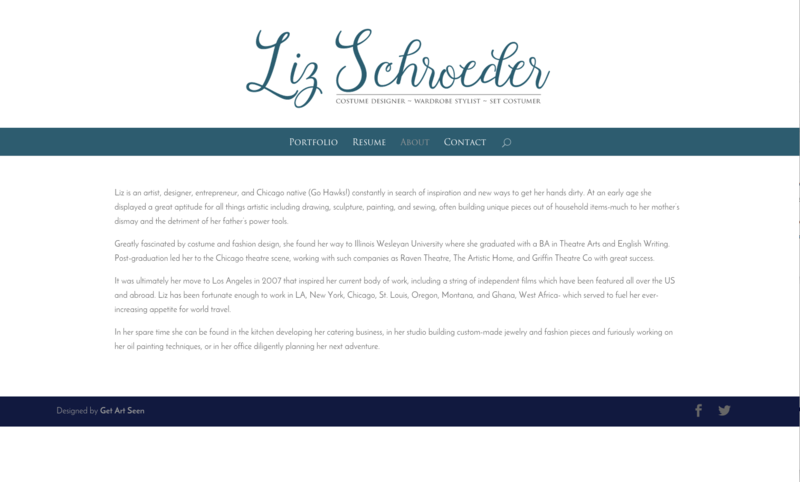 The result, is a clean looking website that highlights the images, and the quality and quantity of Liz’s work, reflecting her skill level and her experience, as well as her professional and detailed-oriented aesthetic.